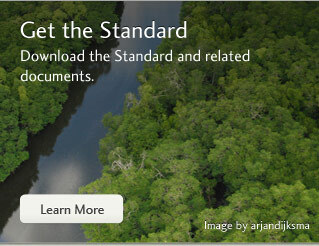 The Global Conservation Standard is based on a holistic approach on land use in the context of local development. Conservation Credit Units are currently quantified on the basis of carbon stocks in vegetation. They are the starting point for bringing in capacity and technology from a wide array of choices, such as agroforestry, intensified food production, land reclamation and erosion control, the production of agro-fuels, composting, watershed protection and wastewater treatment, or eco-tourism. The aim is to empower the rural sector and to substantially reduce the existing pressure on the land and water resources. Project proponents maintain full sovereignty over the Conservation Area for the entire duration of the Conservation Agreement. 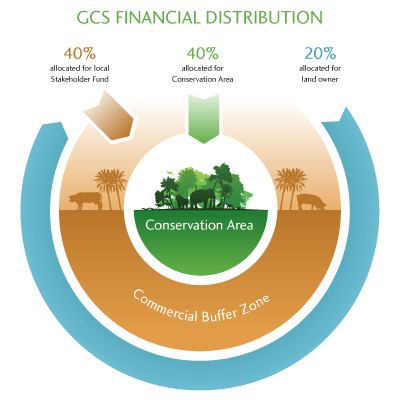 GCS projects are consistent with national powerty alleviation goals and the needs of the local population, including representatives of indigenous populations and local inhabitants. CCUs which accrue to the government or legal landowner / licensee stakeholder are available in the market for sale at the price of the market for that day. 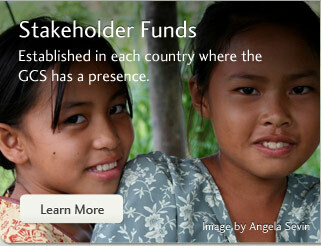 The resulting revenues create a considerable capital pool critical to ensure the program meets its aims and goals. As a rule of thumb, one-hectare of protected forest generates CCU revenues in the order of Euro € 40.